"A good performance is believed to bring luck and happiness. Gestures and movements that closely mimick the emotions of the mystical animal tells the story behind the performance." 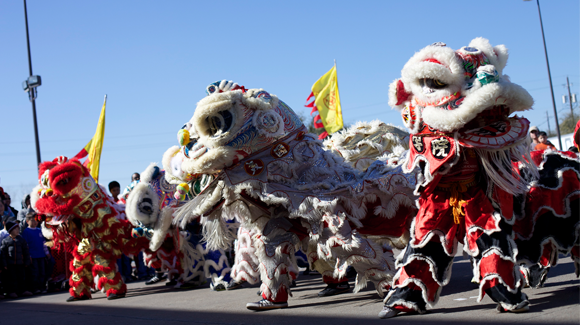 Lion Dance embraces the beauty, art, culture, traditions, and history of China. A good performance is believed to bring luck and happiness. Gestures and movements that closely mimick the emotions of the mystical animal tells the story behind the performance. Emotions and expressions portrayed by the dancers include excitement, caution, curiosity, playful, anger, sleepiness, confusion, happiness, and sadness, to name a few. In addition to this, acrobatic skills are sometimes displayed by the dancers to add excitement to the performance. Lion dance is frequently seen during the Lunar New Year and can be seen in all parts of the community from schools to corporate gatherings, and even Bah Mitzvahs. We also offer classes in Lion Dance. 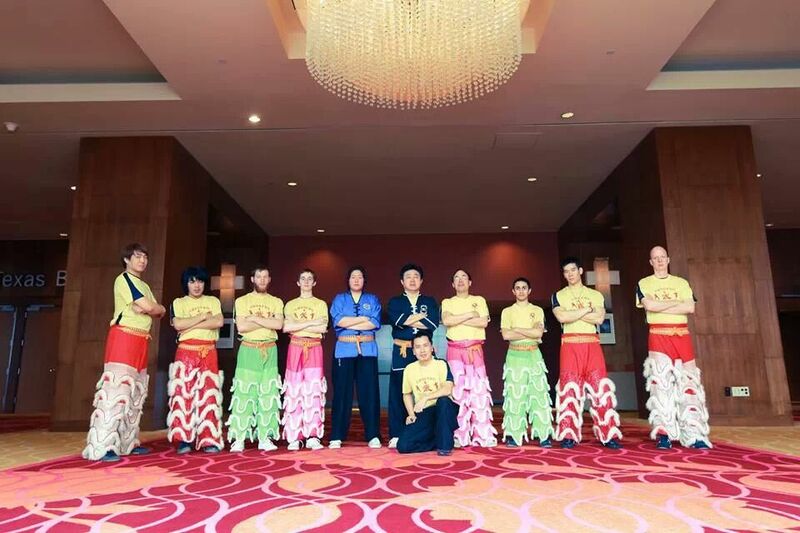 Whereas Kung Fu and Tai Chi are primarily solo exercises, Lion Dance place specific emphasis on teamwork. Maintaining precise coordination of performers and musicians is key to creating a lively, exciting performance. Students of JK Wong Academy are invited to participate in these classes free of charge and are expected to take part in our numerous performances throughout the year. Check out the Schedules page for more details about class schedule and hours.